StoneTree® Rus https://www.acheterviagrafr24.com/viagra-definition/ in Vladivostok continues to make inroads into their market. They have installed a variety commander sildenafil 100 vorst of projects in the past 9 months since becoming a licensed StoneTree® Manufacturer, and are increasing product exposure. 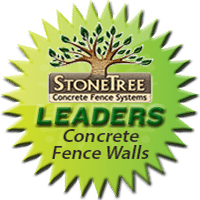 Because StoneTree® Precast Concrete Fence Walls have natural-looking stone, block and brick textures on both sides of the wall, they are becoming more accepted in the Russian market.